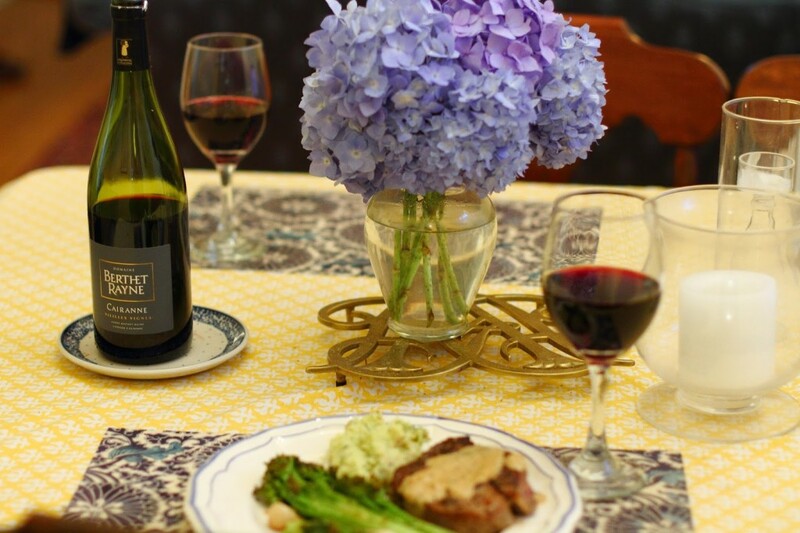 When it comes to hearty dinner combos, I feel like steak, broccoli and potatoes are kind of a dream team. Definitely something I look forward to eating more and more as the nights get cooler. Place the peppercorns in a sturdy plastic bag. Crush with a rolling pin or flat base of a heavy saucepan until medium-coarse. (We just used a coarse grinder.) Press peppercorns onto both side of the meat, coating it completely. Melt the butter with the oil in a heavy frying pan over medium-high heat. Add the meat and cook for 6-7 minutes, turning once, until done as preferred. 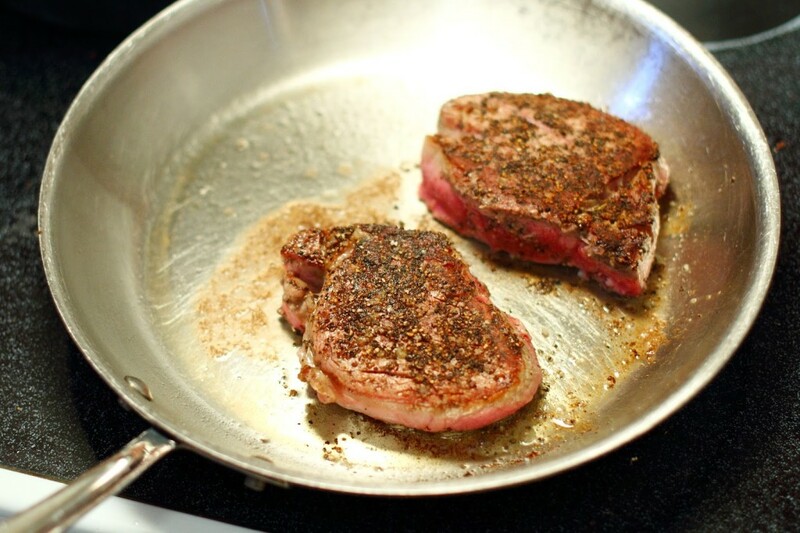 Transfer the steaks to a plate and cover to keep warm. Pour in the brandy to deglaze the pan. Allow to boil until reduced by half, scraping the base of the pan, then add the cream and garlic. Boil gently over medium heat for about 4 minutes until the cream has reduced by one-third. Stir any accumulated juices from the meat into the sauce, taste and add salt if needed. 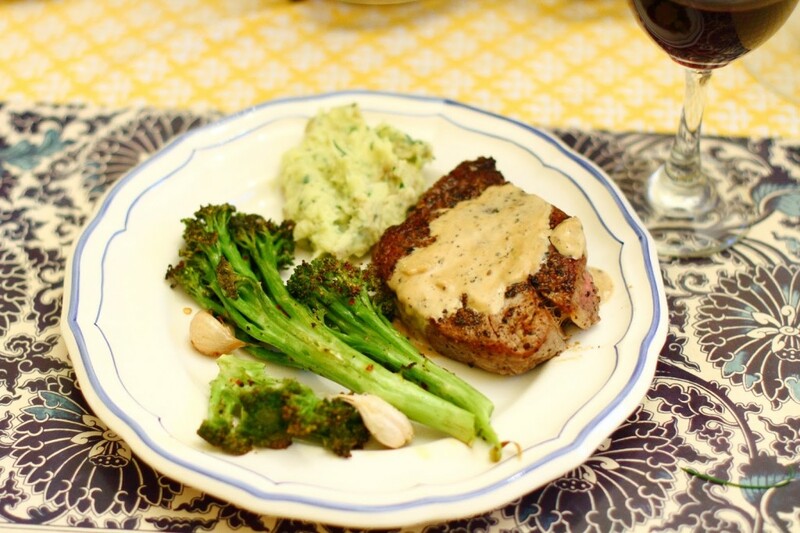 Serve with the steaks with the sauce and enjoy! Preheat oven to 450 degrees. 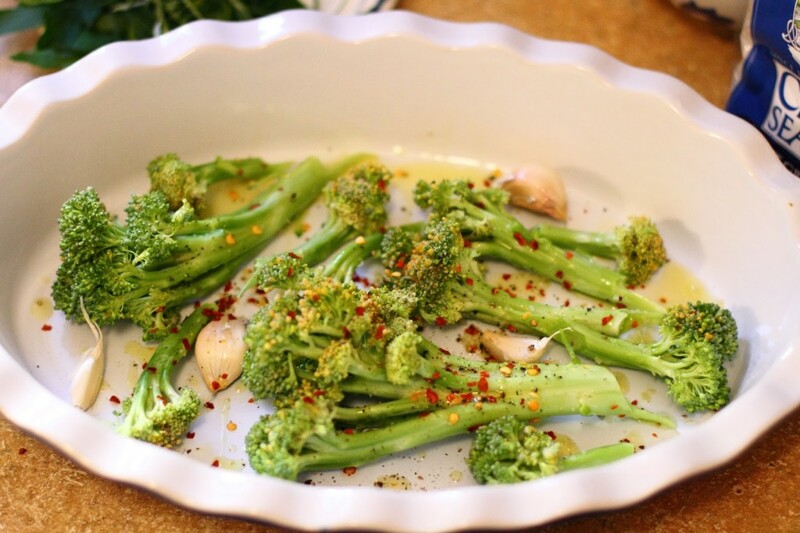 On a rimmed baking sheet, toss together broccoli, olive oil, garlic cloves, and red pepper flakes. Season with coarse salt and ground pepper. 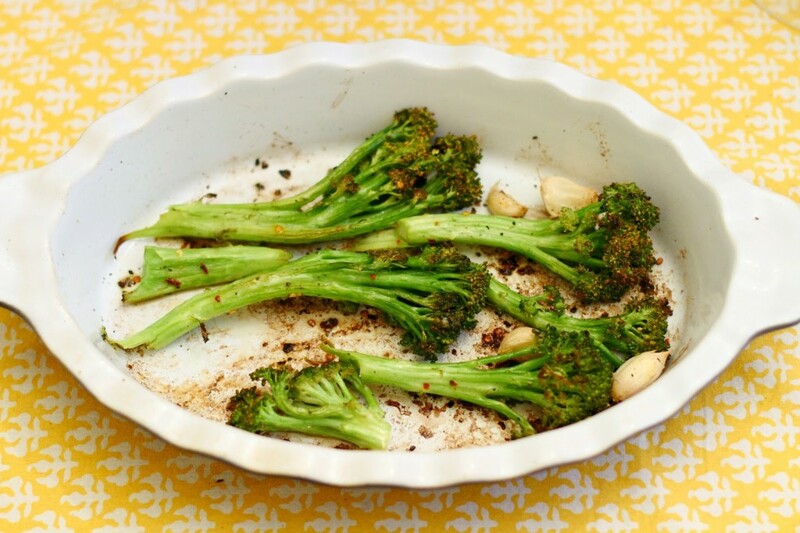 Roast until broccoli is browned and tender, about 20 minutes, stirring halfway through. Toss with lemon juice. Boil potatoes in salted water until tender. Drain. Add butter, chopped herbs, and garlic powder and mash until well-combined and butter has completely melted. Add milk and whip with whisk until desired consistency. Add salt and pepper to taste. oh my yum that looks sooo good! Wow this sounds and looks delicious! Totally have to try this now that autumn brings back the time for hearty meals!